GSK’s Extensive and Long History of Corporate Misconduct… Bob Fiddaman Investigates..
Glaxo’s $3 billion fine in the US is just another piece of the jigsaw. Before this they have made settlements in and out of US Courts, paying defendants compensation and slamming down gagging orders as part of the settlements… in other words nobody can go public with amounts paid to them. Let’s just take a look at some of the other violations committed by GlaxoSmithKline over the past few years. Nearing the end of the trial Glaxo said in a statement that it regretted the way it operated the Puerto Rico plant, which has since been closed, and it’s committed to continuously improvingmanufacturing quality. The company denied Ms. Eckard’s allegations, and said her lawsuit will be dismissed as part of the settlement and payout to her. No criminal charges were laid against Glaxo despite allegations of their involvement in selling on rejected batches of drugs to MOVA Pharmaceuticals. Glaxo suppressed patient-level meta-analysis of safety data from Avandia trials which demonstrated an estimate of excess risk of ischemic cardiovascular events and other potentially life-threatening complications. A two-year investigation by the U.S. Senate Finance Committee revealed GlaxoSmithKline knew of the cardiovascular dangers associated with Avandia for years and tried to stifle concerns noted by several doctors about the medication. During the first round of Avandia lawsuit settlements in May 2010, the company agreed to pay approximately $60 million to settle more than 700 cases. Later that year, GlaxoSmithKline agreed to a $460 million settlement, which resolved approximately 10,000 cases. In early 2011, as the first federal Avandia trials began, GlaxoSmithKline agreed to pay a reported $250 million to settle 5,500 claims that Avandia had resulted in death. After deliberating for seven hours, a state court jury in Philadelphia found that GlaxoSmithKline failed to properly warn doctors and pregnant women about risks associated with Paxil. The jury awarded $2.5 million in damages to the family of Lyam Kilker, who was born with heart defects after his mother took Paxil during her pregnancy. The case was the first to go to trial of more than 600 suits claiming that Glaxo hid knowledge of birth defect risks allegedly tied to Paxil. What did Glaxo have to say after being found guilty? You’ll probably find that the jury thought otherwise Glaxo. GlaxoSmithKline PLC has paid almost $1 billion to resolve lawsuits over Paxil since it introduced the antidepressant in 1993, including about $390 million for suicides or attempted suicides said to be linked to the drug, according to court records and people familiar with the cases. Well, it’s down to the Schell case in 2001. Donald Schell, 60, had been taking Paxil for just two days when he shot and killed his wife, his daughter, his granddaughter and then himself. Remaining members of the family filed suit. During the trial GSK [then SmithKline Beecham] internal documents showed the company was aware that a small number of people could become agitated or violent from Paxil. Despite this knowledge, Paxil packaging didn’t, at the time, include a warning about suicide, violence or aggression. Glaxo were found guilty and ordered to pay $6.4 to the remaining family members. What did Glaxo attorneys say after this particular defeat? The link between Paxil and suicide has been raging for years. Here’s what former Head of Psychiatry at GlaxoSmithKline, Alistair Benbow, had to say in a BBC interview. Q. Let us move on. What has the company done about the Wyoming (Schell) verdict? Q. This man had no history of suicidal thoughts or tendencies. The jurors sat and listened to all the evidence and decided that there were four deaths that were mainly caused by Seroxat. Your company was found guilty of negligence. You cannot ignore that. A. No, and nor would we want to ignore it. This was a tragic case but we remain firmly convinced that Seroxat did not cause the tragic events in this case. Again, I think the jury would disagree with Benbow here. If Glaxo believed their product was innocent in the suicides of these people why would they settle further cases? One such case involving the death of a 14-year-old boy who had been taking Paxil for two months. 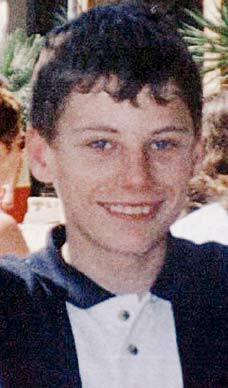 The parents of Scott Cunningham, of Valparaiso, Indiana, sued after the boy hanged himself in 2001. They alleged Glaxo suppressed evidence that Paxil use was linked to the risk of suicide attempts by adolescents. Glaxo denied the allegations, according to court papers. They then settled with the family later. In its 2008 annual report, Glaxo officials said they had reached a “conditional settlement agreement” in January 2006 with Paxil users who alleged they suffered withdrawal symptoms after taking the drug. The case, filed in Los Angeles federal court, was marked closed in court records in February. In other words a gagging order was place. This enables Glaxo to defend any further lawsuits regarding Paxil addiction. One such lawsuit is the UK Seroxat litigation which Glaxo are defending. The UK lawsuit has been dragging on for over 10 years now. Glaxo have refused to make any such compensatory settlements to any UK citizen. So, just a few reasons why it comes as no surprise to learn that Glaxo have been behaving badly in China. No surprise that Witty is denying any knowledge of what went on in China either. Even when found guilty Glaxo continue to deny any wrong-doing… that trend will continue until compensation is put to one side and criminal charges are laid against the top executives at Glaxo. They are the past masters of buck-passing, of laying blame on others, of waving wads of cash [dangling carrots] in front of victims in the hope that a settlement can be reached. With settlement comes suppression and Glaxo just love suppression. I anticipate that the bad behaviour in China will be settled and those responsible [the top management] will deny knowledge and let the area managers take the fall. That’s their style, always will be until someone has the balls to come down hard on the senior management at GlaxoSmithKline. 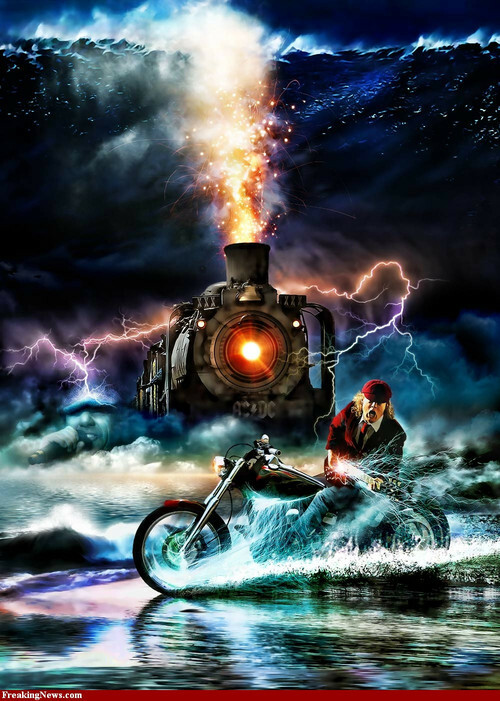 Someone really needs to put a stop to this runaway train. A police investigation in China has found that drugmaker GlaxoSmithKline’s alleged bribery of doctors ‘was coordinated by the British company and was not the work of individual employees,’ according to a report Tuesday by Reuters. GSK allegedly paid up to $490 million to doctors in China through 700 travel agencies in exchange for sales of drug products. ‘It is becoming clear that it is organized by GSK China rather than … sales people’s individual behavior,’ Reuters said, citing the official Xinhua news agency. GlaxoSmithKline: Drugged Up On China’s Culture of Corruption? GSK insist practices in China cannot be linked to Brentford HQ. Photo: Maxwell Hamilton. 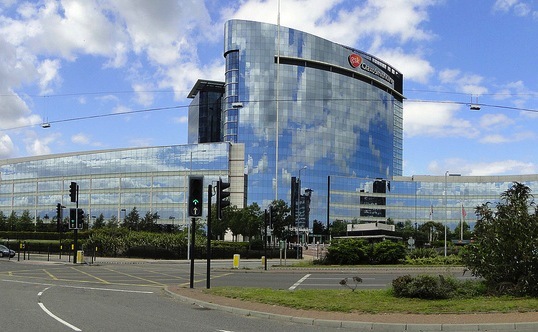 It has not been a good couple of years for GlaxoSmithKline (GSK) on the publicity front. 2012 began with GSK paying a hefty fine in Argentina for ‘experimenting with human beings’ during vaccine trials which allegedly led to the death of 14 babies. Another settlement in July broke the record as the largest payment by a drug company in the biggest healthcare fraud case in U.S. history (a settlement totalling $3 billion). Now, a scandal in China promises lengthy procedures, heavy press coverage, and potentially huge fines. Prompted by investigations from the Chinese, authorities claim that GSK has been using hundreds of middlemen and travel agencies to bribe doctors and officials since 2007. The money involved has been estimated at 3 billion yuan, in addition to sexual favours in exchange for the prescription of the company’s drugs, an increase in market share and higher selling prices. Yet GSK have made it clear that the wrongdoing was not part of any corporate strategy – “The issues identified would be a clear breach of our corporate values and we have zero tolerance for any behaviour of this nature”. Instead, they have shifted the blame onto individual executives who they state “acted outside of our processes… to both defraud the company and the Chinese healthcare system”. Meanwhile, four senior executives have been arrested and appear to have confessed. The Chief Executive of GSK andChancellor of University of Nottingham, Sir Andrew Witty, described the allegations as “shameful” and was “personally deeply disappointed”. Contrary to this, the Chinese police believe that GSK had a structured bribery programme. The Xinhua news agency asserted: “…it is becoming clear that it is organised by GSK China rather than drug salespeople’s individual behaviour”. With the revelation that the company had set targets for annual sales growth at 25% (approximately 7% higher than the average growth rate for the industry), a general manager for GSK admitted that this could not be reached in the absence of ‘dubious corporate behaviour’. Nonetheless, this might not be strong enough proof that salespeople were forced into illegal practices. Confirmation of these suspected corrupt practices implies serious consequences – such as charges under UK/US anti-bribery laws. Indeed, it has recently been reported that US authorities have opened investigations on GSK for violations of their anti-bribery laws. Despite being a British company, GSK’s listing on the US stock exchange gives them jurisdiction over the issue. Amongst all this, some have raised the question: why did Chinese authorities choose GSK? Such corruption is common practice in Chinese pharmaceutical companies, partly due to low salaries for doctors. The Chinese authorities appear to be holding onto the affair tightly, leading to speculations of political motives. These speculations have arisen from the company’s links with Betsy Li Heng, a former director of GSK’s corporate affairs. Li’s two brothers, Hu Deping and Hu Dehua, have long been advocating political reform – going so far as to criticise President Xi. This is almost unheard of amongst Chinese officials and intellectuals, and the scandal could be a warning for them not to overstep the mark. China’s anti-corruption rules ultimately have yet to override traditional business practice. But times are changing; continuing protests across China over corruption and its slowing economic growth has left tensions bubbling. Declining social stability is a major fear for the government, yet clamping down on corruption is a complicated matter. Distinguishing between money spent on corruption with money spent on developing relationships (‘guanxi’) can be difficult, as it is a significant part of the way business is done in China. As relationship building involves banqueting, President Xi has reduced the number of dishes allowed in official banquets; a sign that he is serious in pushing forward his anti-corruption measures. For China, this may just be the beginning of a long and thorny path towards a more respected and regulated business environment. Drug company bosses concealed information about the dangers of the anti-depressant Seroxat for five years while it was still being prescribed to children – yet they will escape prosecution over the cover-up. Documents released yesterday as part of a four-year criminal investigation into GlaxoSmithKline show that the pharmaceutical giant had evidence that the drug didn’t work in children as early as 1998. There were also suggestions the firm was aware of possible links to attempted suicides and suicidal thoughts. But Glaxo did not alert Britain’s drugs’ watchdog to the problem until 2003, when the suicide link had become clear. The move led to an almost immediate ban on their use in under-18s. Since it was first prescribed in Britain in 1990, the tablet, which makes GSK £1billion a year, has been associated with at least 50 suicides – both adult and child – in the UK alone. Yesterday, the Medicines and Healthcare products Regulatory Agency hit out at Glaxo for withholding the information, and ministers promised to tighten the law. But the watchdog came under fire itself over the failure to bring criminal proceedings against the firm for the cover up. Ministers and officials insisted a prosecution was not realistically possible under the law as it stood at the time. MHRA chief executive Professor Kent Woods said: “I remain concerned that GSK could and should have reported this information earlier than they did. He said that although the law on disclosure of clinical data had been tightened in recent years, it would now be strengthened again. In a letter to Glaxo, Professor Woods said: “Such a course of action should be unnecessary in an industry which relies so heavily on public trust and aspires to high ethical standards. He added that Glaxo would not be prosecuted, as there was no realistic chance of a conviction under the legislation in place at the time. However, the criticism may boost the case of British patients privately suing Glaxo after reacting badly when they tried to come off Seroxat. Charles Medawar, of pharmaceutical watchdog Social Audit, said not just Glaxo but also the MHRA had “a great deal to apologise for”. He said: “They say the decision not to prosecute was decided by the inadequacy of the law. Health Minister Dawn Primarolo said the Government would take “immediate steps” to strengthen the law, making it clear that drugs firms must disclose any information they had which could have a bearing on public health. Glaxo denied it had withheld data, saying it “firmly believed” it had acted “properly and responsibly” and safety of its medicines was “paramount”. It said there were no child suicides in any of the safety drug trials it carried out and it was only when the data from all nine trials was analysed together that any link with suicide emerged. A spokesman added that Seroxat has never been licensed for use in under-18s in the UK and labelling stated that it was not recommended for children. However, Seroxat, which is also known as paroxetine, was taken by an estimated 50,000 British children and teenagers before being banned for use in youngsters in 2003. Doctors are allowed to prescribe unlicensed drugs. Prescribed to children as young as six, it was hailed by doctors as a “wonder drug”, capable of helping people overcome shyness. However, it gradually became clear that the drug, which alters levels of mood-regulating chemicals in the brain, was not all it seemed. As children taking it began to commit suicide, parents described how their sons and daughters suffered mood swings, nightmares and personality changes. Jamie Hoole was just 18 when he was prescribed Seroxat for depression. Two months later, he killed himself. His mother Jean Bambrough is convinced he would still be alive had it not been for Seroxat. Miss Bambrough, 47, said: ‘It was like prescribing him a loaded gun. The talented pianist and artist was given Seroxat after he lost his self-confidence and started to withdraw from everyday life. Initially, his depression seemed to lift. Miss Bambrough, a personal assistant who split from Jamie’s father 20 years ago, said: “For the first few days, he was smiling and looked happy. “But that didn’t last long. He became very agitated and couldn’t sleep. He was having really awful dreams. Jamie, a builder, then turned to self-harming, cutting his arms, legs and stomach with a knife. Not long afterwards, his brother Daniel, then 13, came home from school to find him hanging from a belt in a bedroom of the family home in Northwood, North-West London. An inquest into his death concluded it may have been “wholly or in part” linked to his use of the drug. Another Seroxat patient, Laura Davey, now in her 20s, was put on Seroxat because she was suffering from depression. But instead of making her better the drug led to her self-harming.